Generale Sistemi è lieta di poter dare diffusione di un'altra importante acquisizione da parte nel nostro main partner TagMaster dopo il recente acquisto della londinese CitySync. TagMaster ha diffuso oggi la notizia dell’acquisto di una storica ed importante azienda del settore Rfid, la francese Balogh. La multinazionale francese vanta un importante storia e si conferma come una delle più longeve aziende del settore. Scopo strategico è l’ulteriore rafforzamento del gruppo TagMaster nell’ottica di ulteriore impegno nella globalizzazione delle proprie soluzioni, soprattutto nei core business di Balogh come il settore Railway. Generale Sistemi, che da tempo con TagItalia integra tali tecnologie è particolarmente soddisfatta di questa nuova ed ulteriore possibilità di collaborare con TagMaster, condivide a pieno la visione di offerta di sistemi e soluzioni complesse che sottende a questa operazione di sviluppo e crescita di TagMaster. Ulteriori dettagli nel comunicato stampa congiunto sottoriportato. Balogh is one of the real pioneers in the RFID technology and was founded in 1958 by the parents of the present owner. 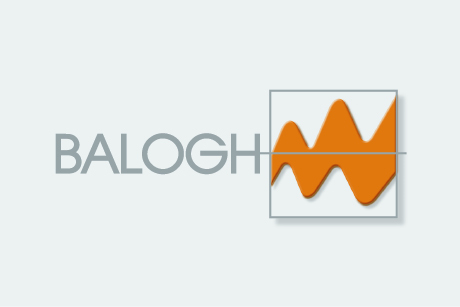 Balogh today has offices for development and production in Paris, in Toulouse and in Normandie and works within the three RFID segments Rail, Access/Security (Traffic) and Industrial automation. Balogh has during the first 6 months of the year had a turnover of approximately 2 M€ with a nil result and has at the time of take-over 36 employees. The company also has an interesting order book for the autumn 2016 and into the first quarter of 2017. ”TagMaster is enthusiastic about this our next step in our growth strategy and we will together with Balogh become a stronger supplier in both Rail and Traffic solutions and we will continue building a relevant supplier in Smart City solutions. We intend to use our new structure to create a “center of excellence”, for Rail solutions in France and put together our Swedish and French competencies to enable widening of our product offering to the leading actors in train signaling and enable us to take on bigger and more projects. We are glad to see Etienne Balogh having chosen to continue and he will take on the role as sales director for the total Rail business and become part of the management team. In Traffic solutions we will focus on the TagMaster product assortment, especially our new UHF family, and we will through this be able to make product development as well as production more efficient. Through the acquisition we also increase our presence in France and other south European countries and we get a new sales channel for our CitySync products. Altogether we expect the two acquisitions, CitySync and Balogh, should give us a sales base beyond 100 MSEK and profitable in 2017.” says Jonas Svensson, CEO, TagMaster.